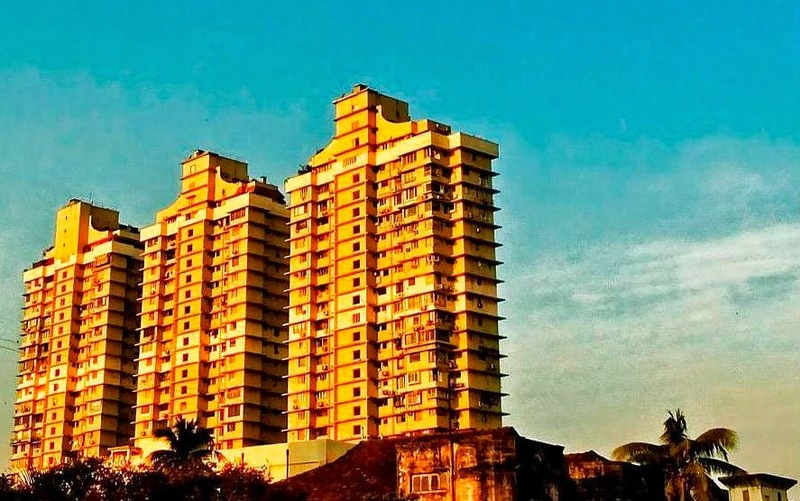 The Grand Paradi Towers which consists of three towers at Kemps Corner, Malabar Hill, South Mumbai was constructed in 1975. 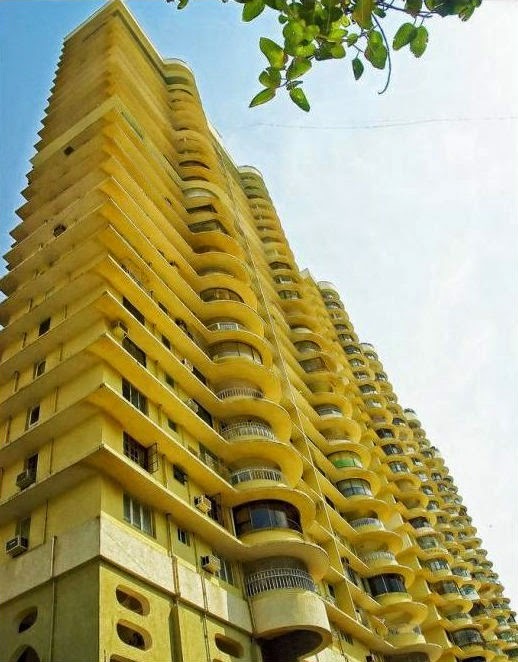 The towers consists of 28 storeys each, in one of the most affluent areas of Mumbai. It is one of the oldest and biggest residential societies in the city, well known for its elegant architecture and a spectacular panoramic view of the city. An apartment in the Grand Paradi is an indicator of property and status - few years back, a flat in Grand Paradi Towers were valued more than Rs. 40,000 per square feet. The Grand Paradi is the residence of some of the most wealthy and well known personalities of the city including diamond merchants and businessmen of Gujrati, Marwari and Sindhi communities. 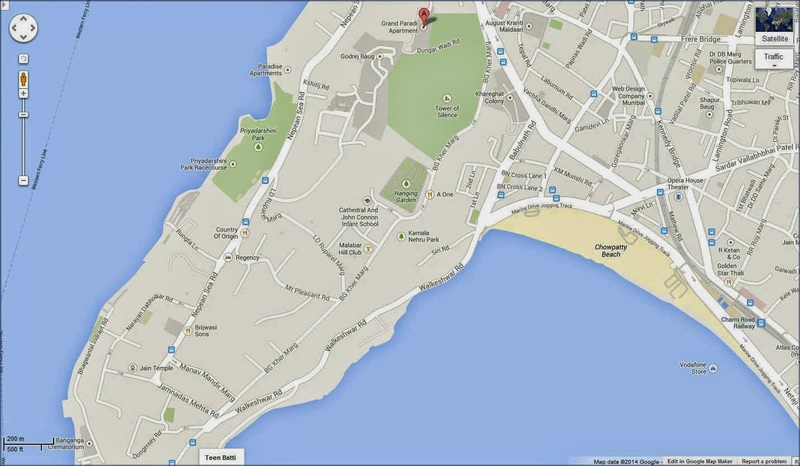 The Grand Paradi is considered one of the most coveted and begrudged locations in Mumbai since a long time. Behind the facade of this architectural beauty exists a sordid saga of hatred, suffering, and suicides. Being a stinking rich locality, there might be lots of financial issues in the pipeline even for the most affluent families. The nemesis behind the multiple suicides in the society was once an anomaly, then it became a trend and now it's a full-fledged jinx. What secret is concealed underneath the Grand Paradi that instigates quite a few of its residents to kiss of death? There has been a succession of suicides by the residents of the Grand Paradi within the society as well as outside the society. The events started with the death of a young girl who jumped to her death in the later seventies. Mr. Vasudeo Dalal and his wife Tara Dalal committed suicide by roping themselves and jumping off the balcony of their eighth floor apartment on Sunday, June 14, 1998. Mr. Dalal had even left a suicide note alleging that they were disgusted and depressed by their lives due to continuous harassment by their son and daughter in law. The police arrested Balkrishna (48) and his wife Sonal Dalal (45) couple of days later on the charges of abatement of the elderly couple. During the court proceedings, the manager of Grand Paradi testified that Balkrishna and his wife wanted to get the flat transferred in their name. Nalini, Vasudeo's sister, also testified that Balkrishna and his wife used to abuse her brother. During the seven years of trial, the Dalals were financially insecure. Their spare parts business was not doing well, and they might had been in debt. After defending themselves for seven long years, on the judgement day on Monday, March 28, 2005, at 6:30 AM, the Dalal's - Balkrishna, his wife Sonal and their 19 year old daughter Pooja committed suicide by jumping from the same apartment in the same manner as their parents did. It is quite possible that the Dalal's decided to take this extreme step because Balkrishna feared that he and his wife would be convicted and may hear an adverse verdict in the case. A ceremony was later performed to get rid of evil spirits from the eighth floor apartment, and the apartment in which three generations of the same family leaped to their death is sealed off. On Thursday, April 26, 2001, 36 years old Narayan Ramchander who was a domestic help of the Sanghvis, threatened to jump of the parapet of the 19th floor of the Grand Paradi complex. It was a 10 hour long suicide drama which started when he was accused of stealing. At 9:00 AM he yelled at the watchmen from the window ledge, and the panicked watchmen rushed to the Sanghvis. All efforts of the Sanghvis (who were acquainted to him since last 15 years) to allure him into the flat went in vain as he dodged them and settled on the edge of the parapet. Eventually, the police was informed and the four engines of the fire brigade came. However, the snorkel (a hydraulically elevated platform used for firefighting) cannot be used because it was small and there were lots of high trees around the building. A huge padded circular cloth was also unfurled below by a group of fire officers to catch Narayan in case he jumped. Narayan was offered water, and a paan (beetle) which he gulped, but refused to back off. In despair, at 11:00 PM all the policemen and fire officers pretended to leave. The curious public was also asked to leave in hope that he would retreat from his precarious position. However, when this attempt failed, most of the policemen actually left off sparing a few who kept communicating to him for about six and a half hour. At 6:30 in the morning, when Narayan asked for water and stretched his hands, he was grabbed and pulled in. He was later detained by the police where he alleged that he was mentally tortured by his employers and was extremely tensed. Charisma Anil Kadakia, daughter of Anil Kadakia (honorary consul general of Brazil) a resident of the Grand Paradi, committed suicide on Saturday, October 28, 2006 in public. She was a 24 year old girl who jumped from the railing along the edge of the balcony of the fifth floor of Navyug Sagar building at Teen Baati, Walkeshwarat, Malbar Hill. She had been in depression since past 6 years and was undergoing treatment. She had earlier made two unsuccessful suicide attempts, once by cutting her wrist veins. On Saturday, she left her house at 12 noon to meet her boyfriend Nipun Doshi, who lived in a flat at the fifth floor of Navyug Sagar building. The Kadakia's were not in favour of an alliance with the Doshi's due to their middle class background. Charisma suddenly went out to the balcony and jumped before Nipun had even a clue of what was going on! Mr. Jain who was also a resident of the Grand Paradi, and worked in a brewing company committed suicide sometime in 2000. He was in his early forties. 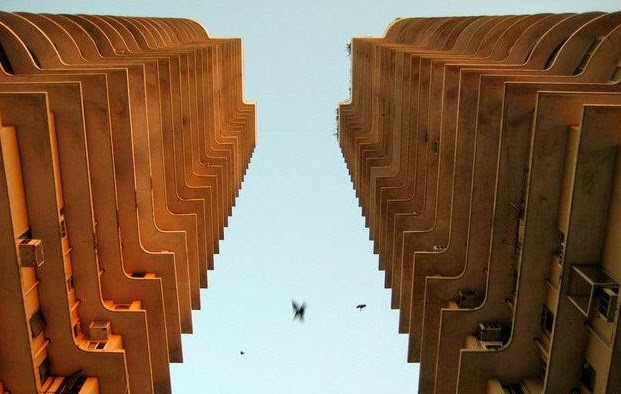 There had been more than 20 horrendous and fatal accidents and suicides at the triple towers since the building was constructed in 1975. Many of these accidents involved children. Even a housemaid was involved in an accident and its still not clear if she leaped or fell out from the window. These freakish incidents have created a uneasiness in the society and many believe the towers to be frightening, mysterious and haunted. There have been a succession of havans and puja conducted in the flat on the eighth floor, in which three generations of the same family leaped to their death. The flat is sealed off and still remains to be occupied. 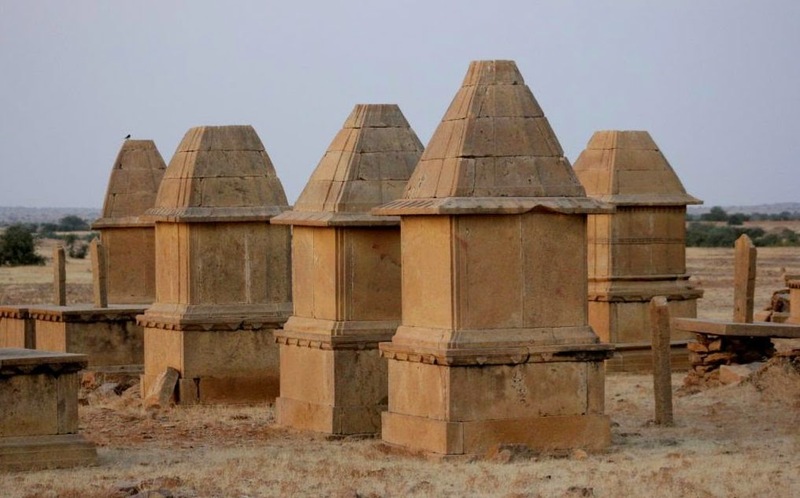 Kuldhara is an abandoned village on the outskirts of Jaisalmer (about 15 km west of Jaisalmer), Rajasthan, India. 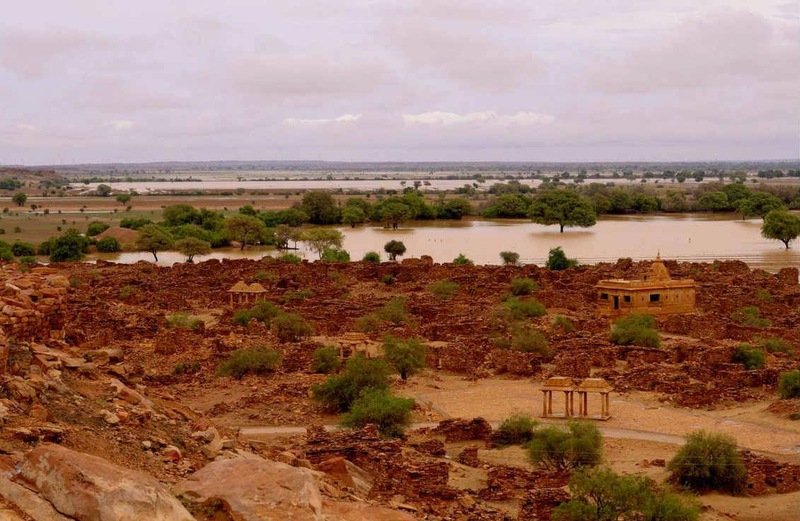 The desolate village, which was once prosperous and home to Paliwal Brahmins is now in ruins. It is the only place in the world where an entire population of over 17,000 people abandoned their homes on their own accord and vanished into the thick of the night. 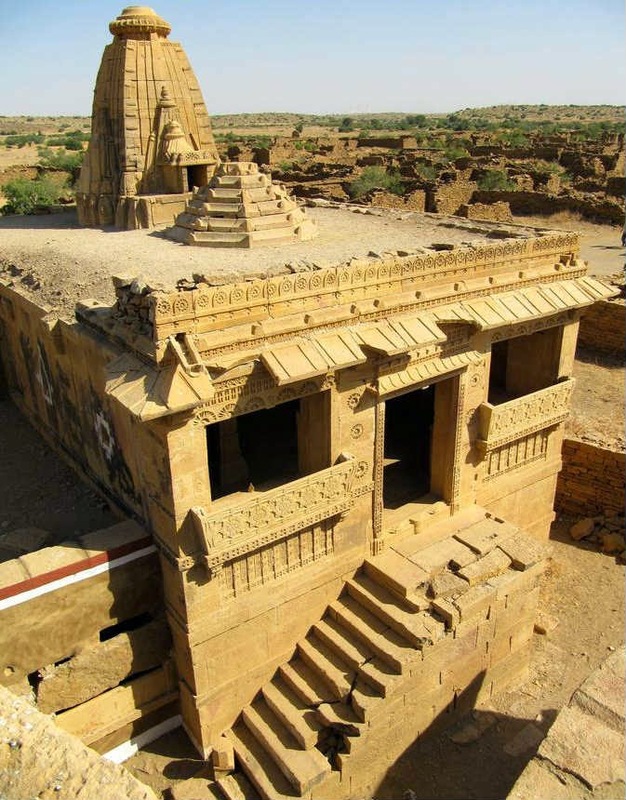 Kuldhara is believed to be established in 1291 by the flourishing Paliwal Brahmins who were astute businessmen and controlled the trade on the Silk Route to Persia (Iran) and Arabian desert. They were also well known for their agricultural skills. They had an overwhelming knowledge of water conservation and rain water harvesting, and miraculously cultivated wheat and gram in the barren wilderness. They were also very compassionate and cooperative. 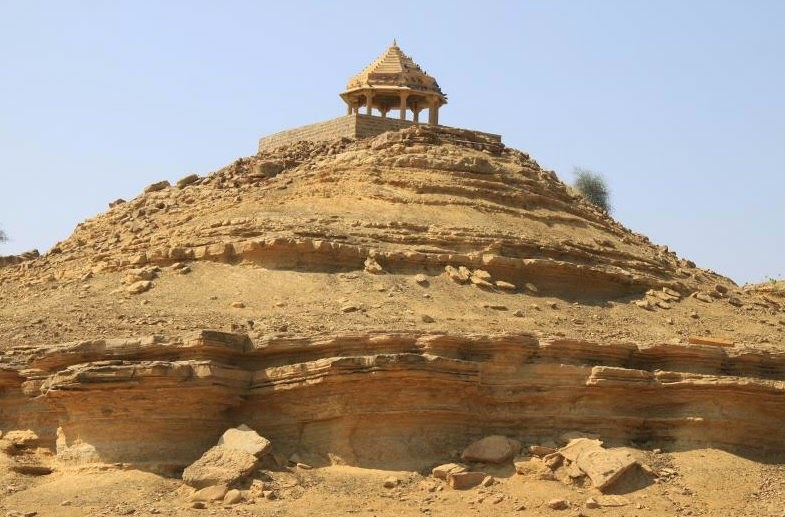 The Paliwal Bramins were natives of Pali (a small kingdom in Thar desert of India). 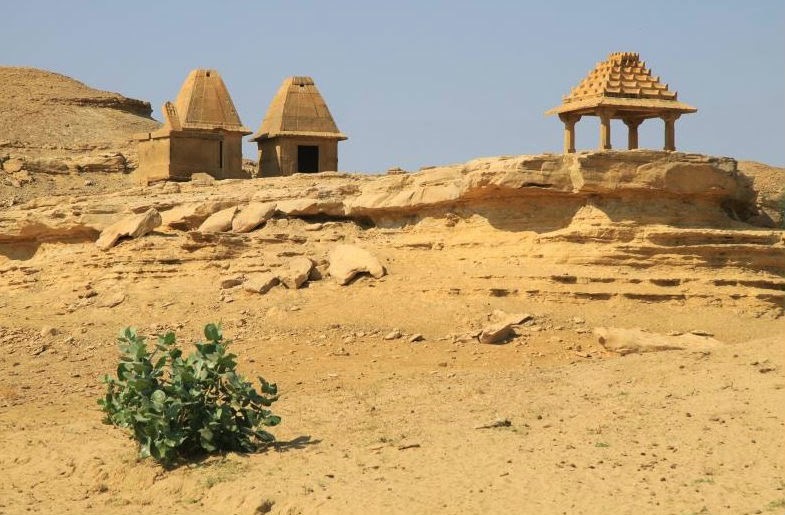 Depressed by the oppressive ruler of Pali, they migrated to the area of Kuldhara in the then state of Jaisalmer in 1291. 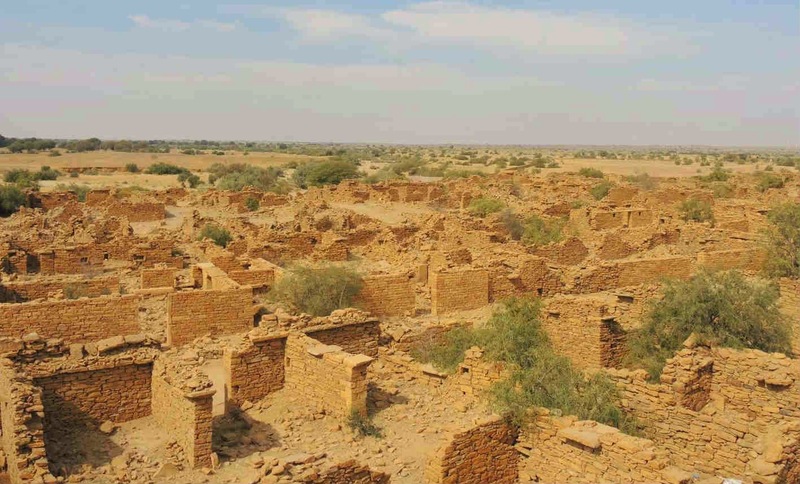 It is believed that each new Paliwal family was gladly received into the 84 villages nearby Kuldhara with a brick and a gold coin from every other family in the village. The brick was used to build a house while the gold was used to start a business or a farm. 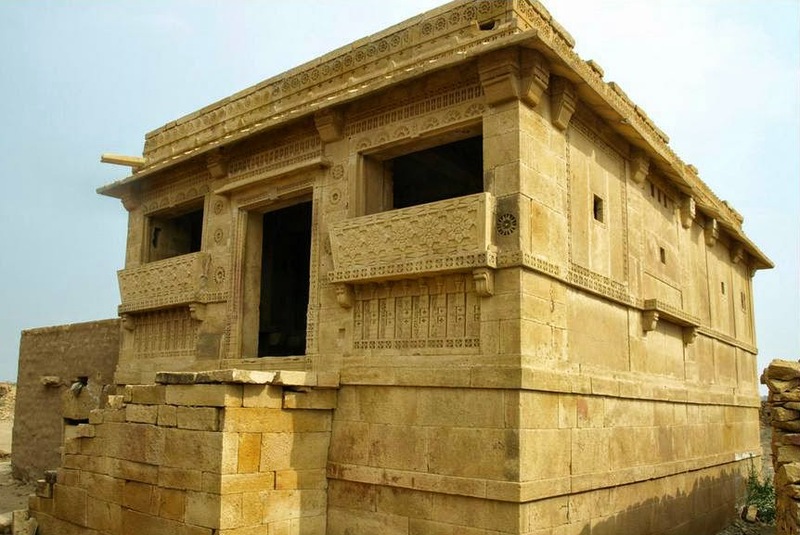 Kuldhara was an excellent township, pretty big, well planned with structured settlements, and straight-wide streets which ran in grids with houses on either sides. 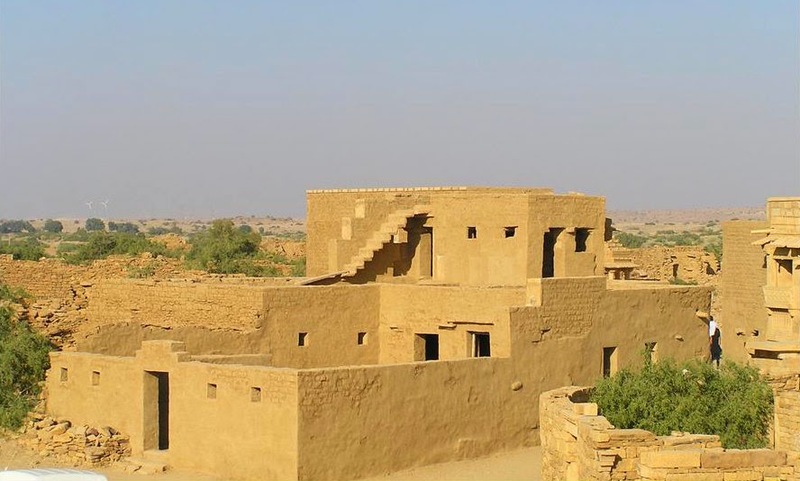 There were about 600 households in the village, most of which were double storeyed, well designed and aesthetic, most probably designed to avoid heat storms of the desert. The inner courtyard, which had a bathtub, and a tulsi-pinda (a small elevated structure to grow tulsi plant) was basically meant for women. The outer surrounding area of the house was used by men and domestic animals such as cows. There also used to be an underground cellar which was used to store valuables as well as food grains. These cellars were sealed few years back, after some foreigners discovered gold and valuable ornaments by using metal detectors, and tried to make off with most of the valuables. 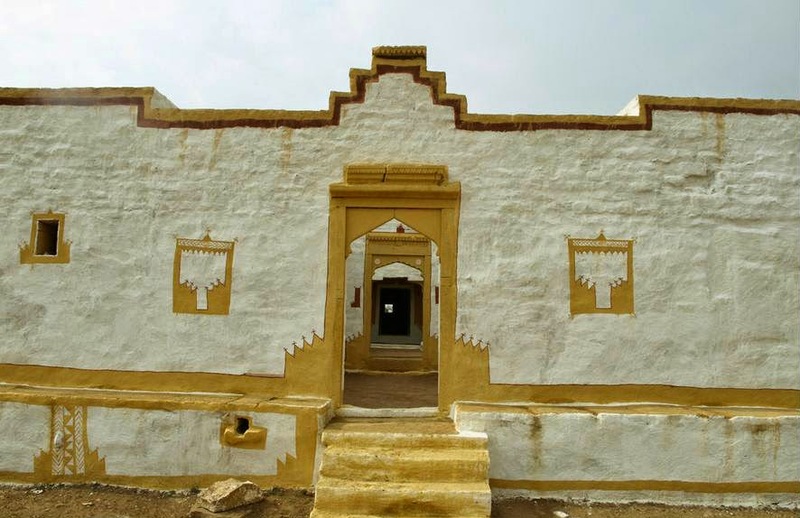 The houses were painted yellow from the native yellow colored mud and stones, while the floor was plastered with cow dung and clay. There were structures similar to a garage which opened into the streets and may have been used to park carts in. There were temples, step wells, water tanks, water harvesting system and cenotaphs among the most prominent structures. 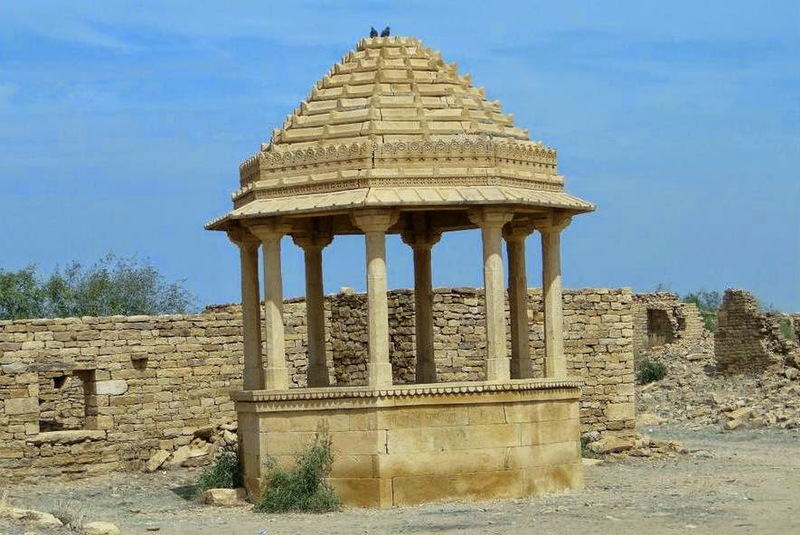 The Maharaja of Jaisalmer was only a titular head of the state at this period, and the Deewan (Prime Minister) - Salim Singh (also called Salum Singh), was the most powerful authority. He had the actual power which he misused to the fullest extend. According to a native folklore, Salim Singh, the malevolent Deewan of state, was well known for his lecherous eye, and evil disposition. On day his eyes fell on a beautiful girl, who was most probably the daughter of the chief of Kuldhara. Enchanted by her beauty, he asked to marry her, but his proposal was refused by the chief as the Deewan was from a lower caste. Infuriated by the refusal, he forced the chief to accept his proposal and gave an ultimatum of only a "single day" (24 hours). He threatened them to forcefully enter the village and seize the girl after the deadline. He also threatened the villagers to face grave consequences with heavy taxes if his marriage proposal was dishonored. The Paliwals were left with no choice then to accept the proposal, but their conscience didn't allow them to do so. 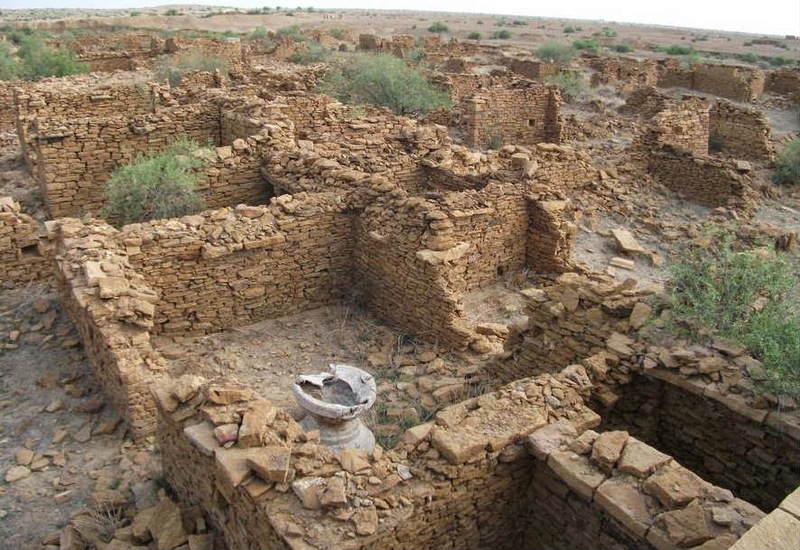 The chief of Kuldhara desperately called for help, which was well responded by the chiefs of other villages. Out of anguish and despair, all the chiefs of 84 villages met in an emergency community council and decided to migrate from the village immediately, in the dead of the night to avoid death and dishonor. Hastily in dismay, they took whatever they could with themselves, buried the rest of their treasures and their belongings, and left their households and most of the livestocks behind, never to return. However, before they left, they cursed that the village would remain uninhabited for times immemorial and those who attempt to dwell in these villages shall be death. If anybody tried to dig out their wealth and belongings, they would live to regret their act and suffer. As the whole community moved out, their hearts were filled with sorrow, and the thought of inhumanity and atrocities increased their pain and suffering. Many years before, human skeletons were found scattered in an alley off the road. It is also believed that the Paliwals left their villages in 1825 on the day of Rakhabandhan. To mourn the unfateful event, they do not celebrate the festival anymore. Since the hubbub of the villages had died down, they decayed spontaneously and were transformed to ruins, stretched out in all directions. 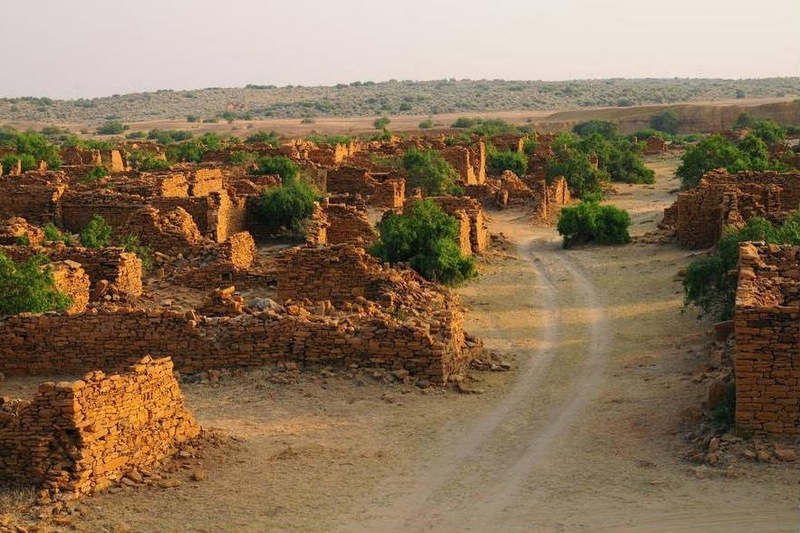 The migrants had haunting memories of Kuldhara in their hearts which did not fade away even after their death. They returned to the village one by one as ghostly beings only to find that their native place is in ruins. 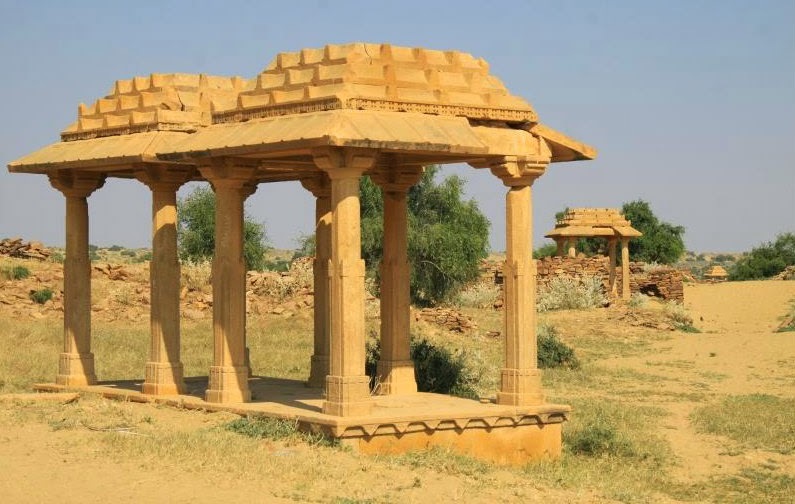 As centuries passed, memories faded with time, and the legend of Kuldhara was forgotten. Piqued by curiosity, the only visitors to the ruins of the villages were some people from neighboring areas. 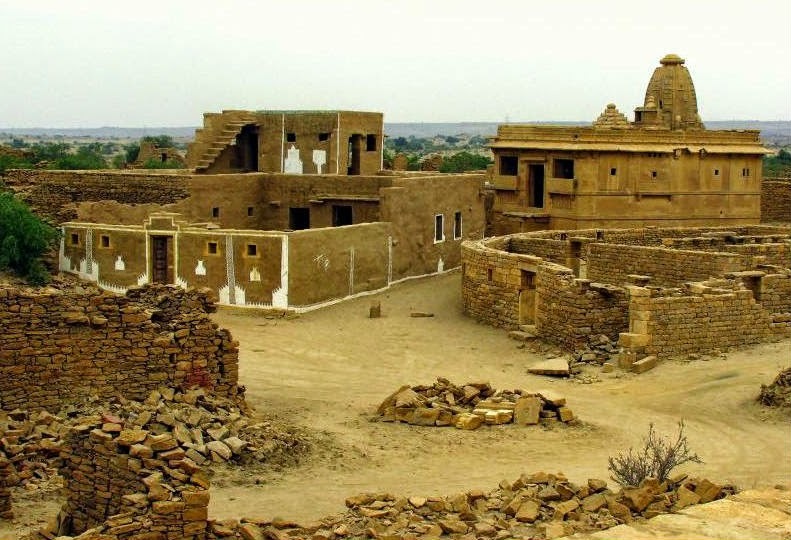 However, in 1998, a couple of foreigners were seen wandering around Kuldhara, investigating and collecting the buried objects from the houses. The locals informed the police as soon as they noticed this unusual activity. The police arrived on the spot for investigation, and caught them red-handed digging the houses. Gold and silver items were recovered from their bags and they were jailed for the offense. Its rightly said "curiosity killed the cat". 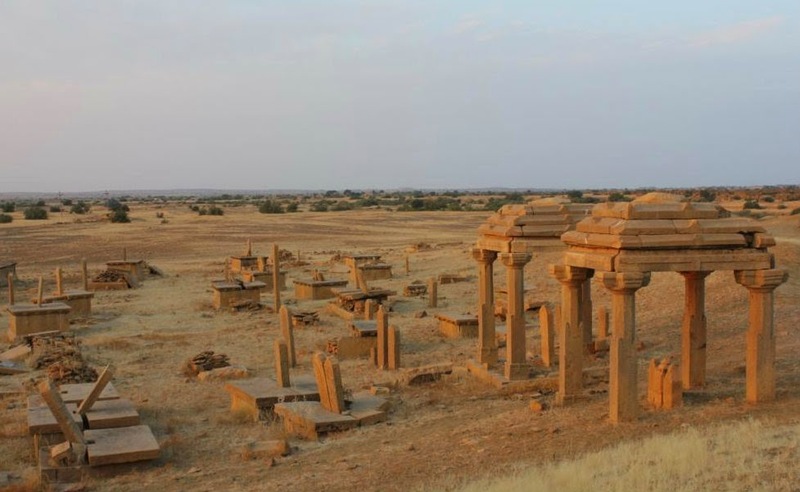 This event woke the archaeological department from slumber, and all of a sudden, Kuldhara was back in news as a major tourist attraction. The village was provided adequate security, and an entry fees was fixed for a visit. The local temple, and some of the houses which were the least damaged, were renovated and restored. People started worshiping in the temple. The visitors are only allowed during the daytime. 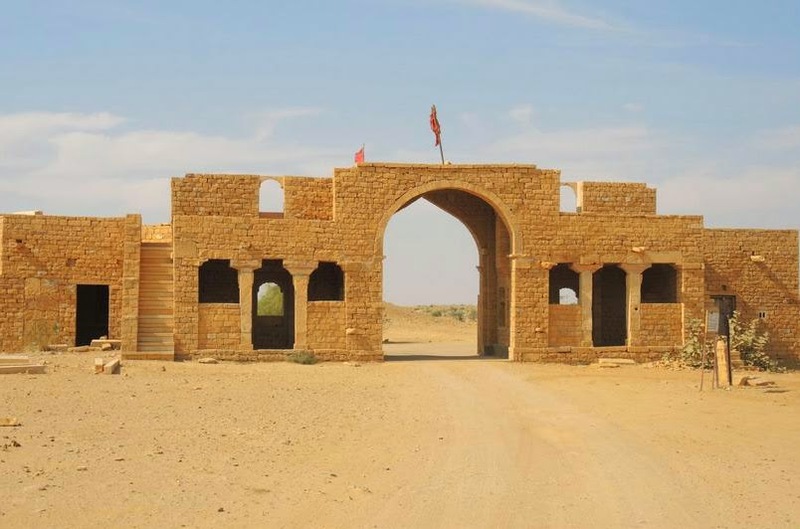 According to another school of thought, after migrating from Pali to Kuldhara, the Paliwals worked hard and with their knowledge and wisdom became affluent and prospered again, due to which they became the target of Mughal invasions. The Mughals wanted to plunder the wealth accumulated by the Paliwals but in most of the occasions, they stood against the raids successfully. The last raid in the 18th century, was a major attack in which the Paliwals lost lot of lives including their livestocks. Finally the Mughals soldiers were ordered to dump animal carcases in wells in order to weaken the opposition. All the wells in and around the village finally became poisonous which resulted in migration of the whole Brahmin community. 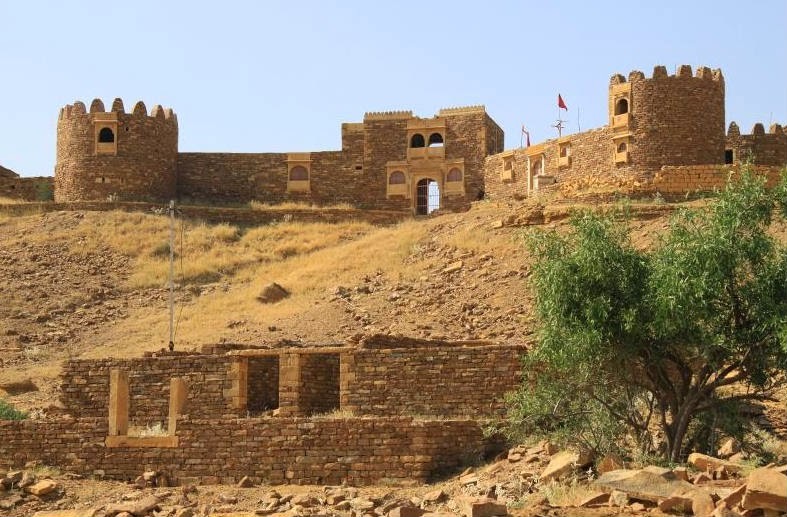 The Paliwal Bhramins left Kuldhara and their surrounding villages overnight and moved to some other place. They also cursed the villages that it could never be inhabited, the fear of which still halts the natives from venturing the ruins. Neither did anybody saw the villagers leaving, nor could they figure out where they ventured. They simply vanished in the dead of the night never to return. However, it is now believed that they settled near Jodhpur in western Rajasthan, and in some areas of Gujrat, Madhya Pradesh, Maharashtra. 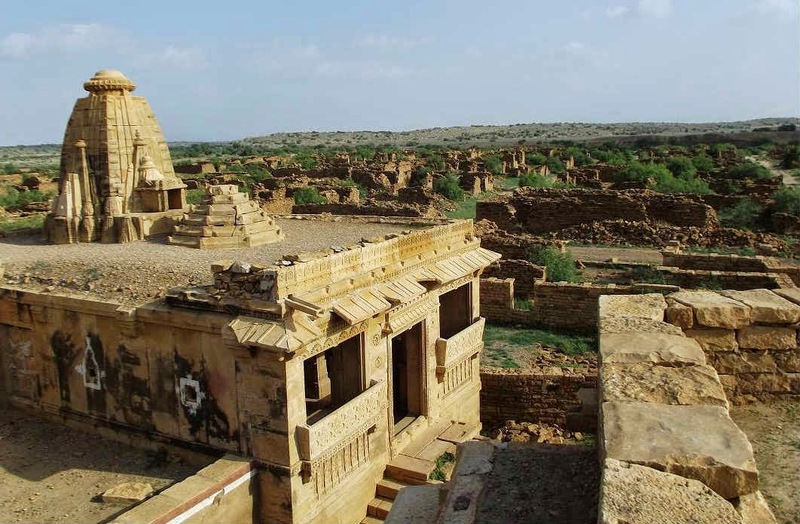 The fascinating potential of Kuldhara has even been tapped in mainstream Bollywood movies such as Reshma Shera, Kachche Dhaage and Agent Vinod.